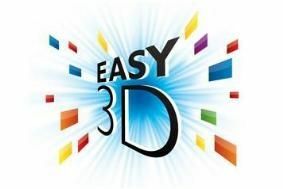 Philips launches passive ‘Easy 3D’ TVs alongside new ‘3D Max’ active sets | What Hi-Fi? The new passive 3D range will sit alongside active 3D technology TVs, known as 3D Max by Philips, with the active technology being found on the company’s premium sets. Both the passive and active 3D ranges will include one of the company’s 21:9 televisions, however. Philips claims the Easy 3D sets will be “the most comfortable to watch”, and will be found on the new 7000 Series LED TVs and Cinema 21:9 Gold Series. The 3D Max active sets meanwhile are described as “the last word in 3D technology”, and will be found on the new 8000 and 9000 Series Smart LED TVs as well as the new Cinema 21:9 Platinum Series. The active 3D sets sport Philips’ latest Perfect Natural Motion processing, with speeds doubled to a claimed two billion pixels per second. Also on board this year is 2D-to-3D conversion and intriguingly two-player full-screen gaming utilising the 3D glasses in order to allow two people to two separate images on screen – we look forward to hearing more about this in our product briefings. Read all the details on Philips’ new televisions in our news story here.